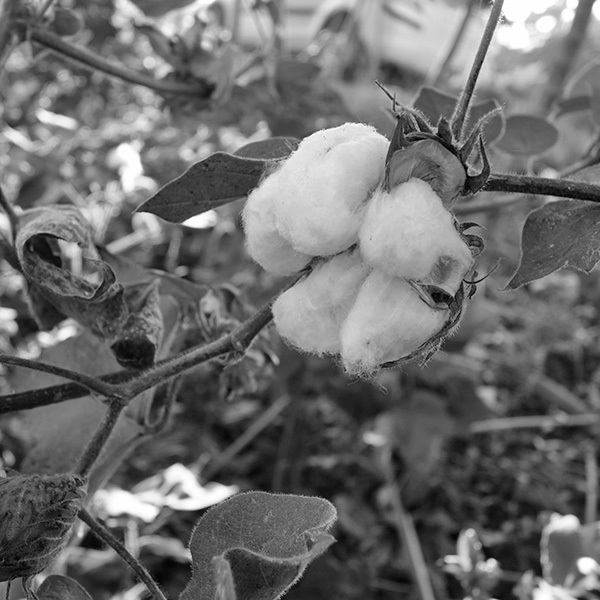 The farmers grow certified organic cotton on approx 5 acres of land owned by them. They use non-GMO seeds and zero pesticides. 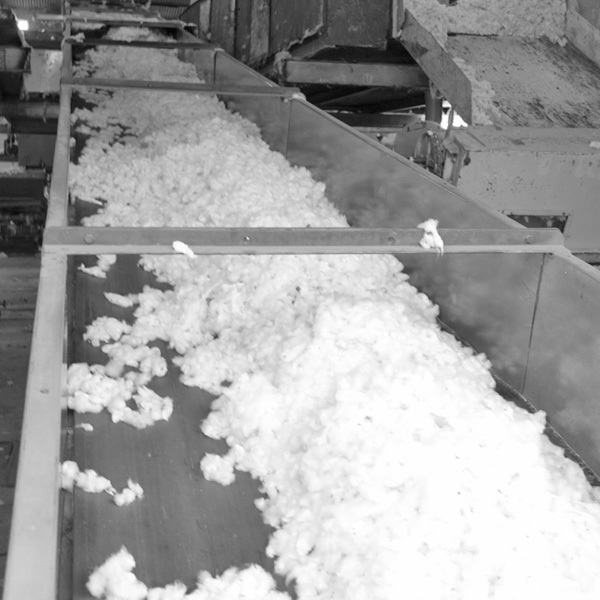 The cotton is delivered to the ginning mill in truckloads. 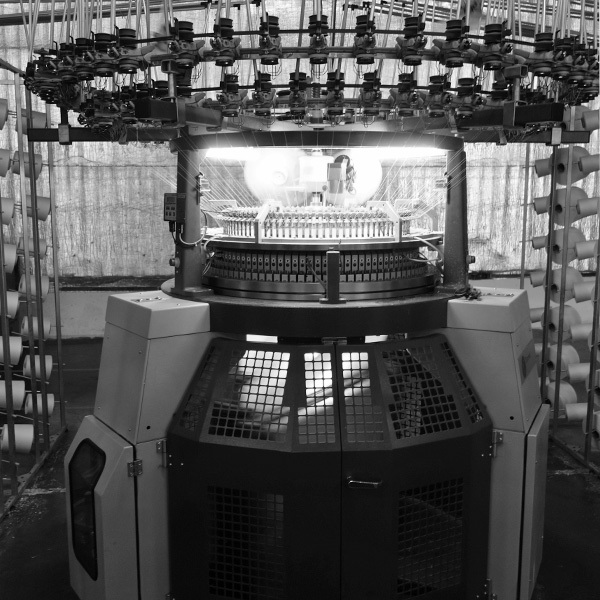 The cotton is then hand fed onto a machine to be delivered across the complex to the next stage. 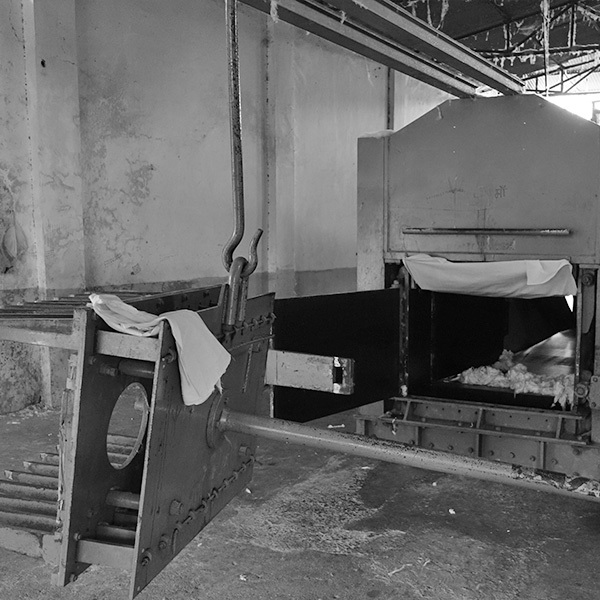 The raw cotton is sent to the ginning machine which seperates the cotton fibres from the seed. The cotton seeds are added to the seed pile. 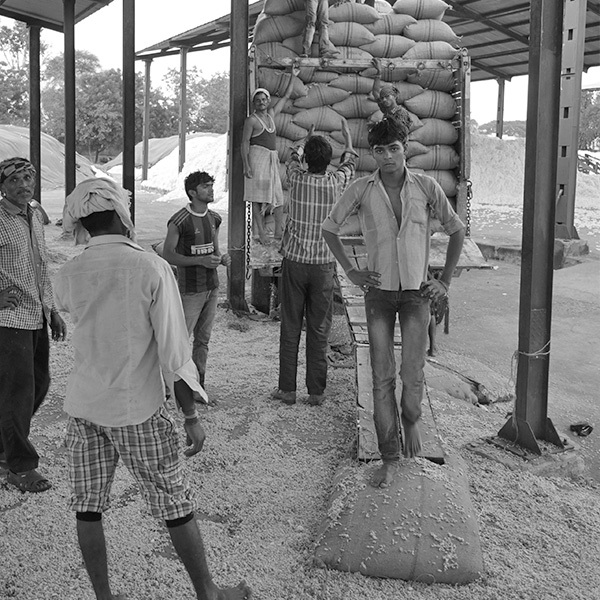 Most of these seeds are repacked and sent to the farmers for replanting. Reducing their dependance towards multinationals. 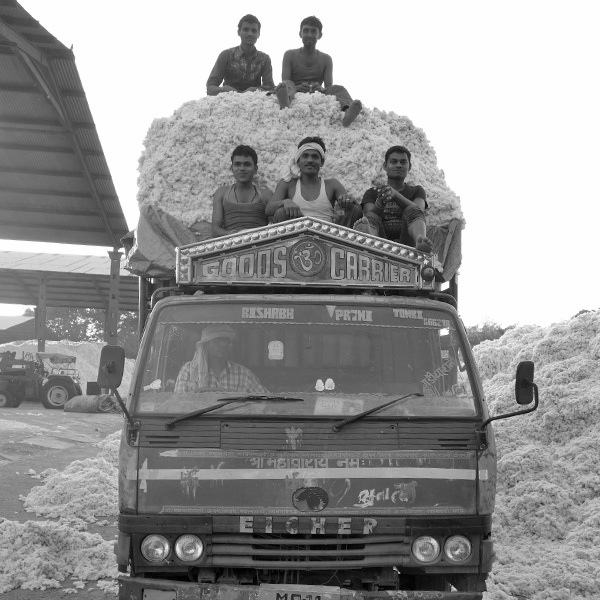 The cotton fibres collected are then sent to a big machine which makes big bales of compressed cotton for shipping all around India. 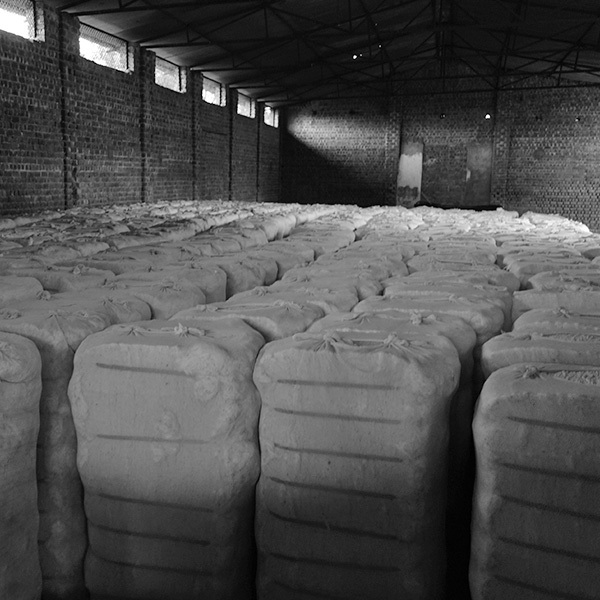 These bales are put into a storage room ready to get picked up and delivered to the spinning factory. 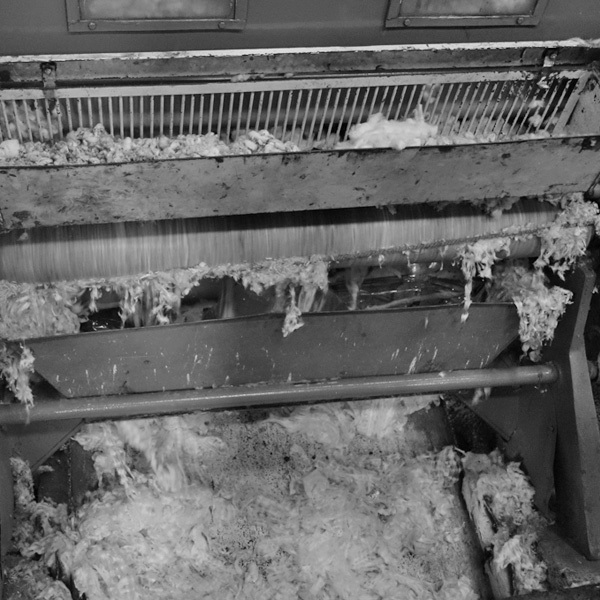 In the spinning factory, a bale plucker takes a small layer of fibre from the top of all the bales on each pass and transfer it to a cleaning line to further remove foreign objects. 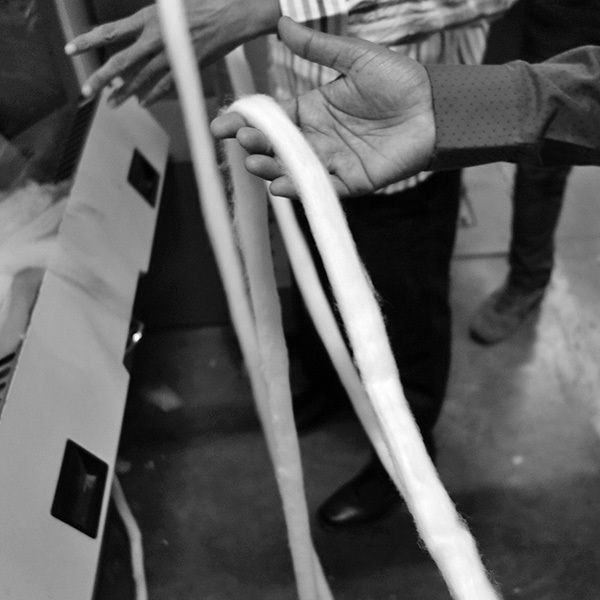 Next the fibre is fed into a carding machine which condense it into a single, continuous, loose rope called sliver. 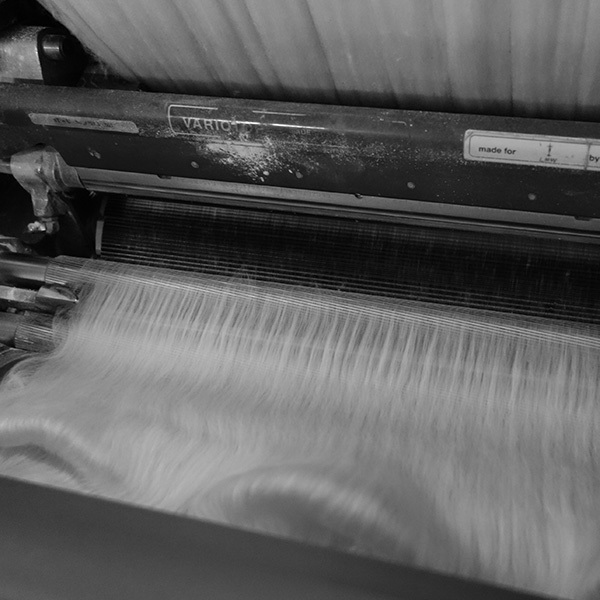 The slivers then go through a process known as lap preparation which combines a number of slivers into wound, flat ribbon, needed for combing. 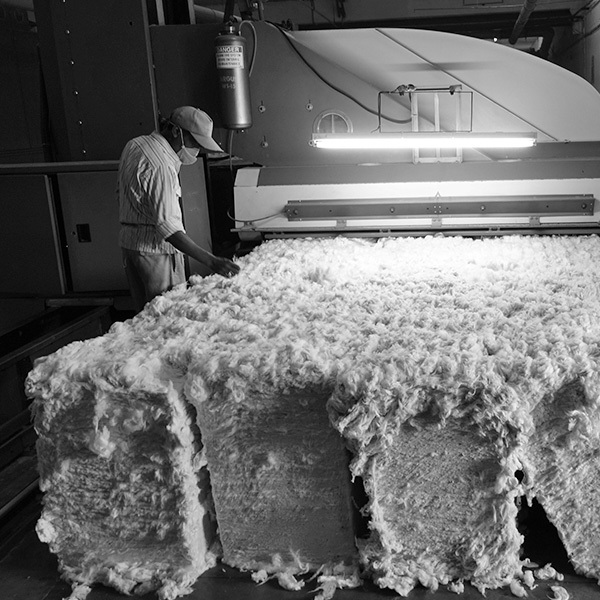 During combing, short fibres and any final waste is removed from the cotton. 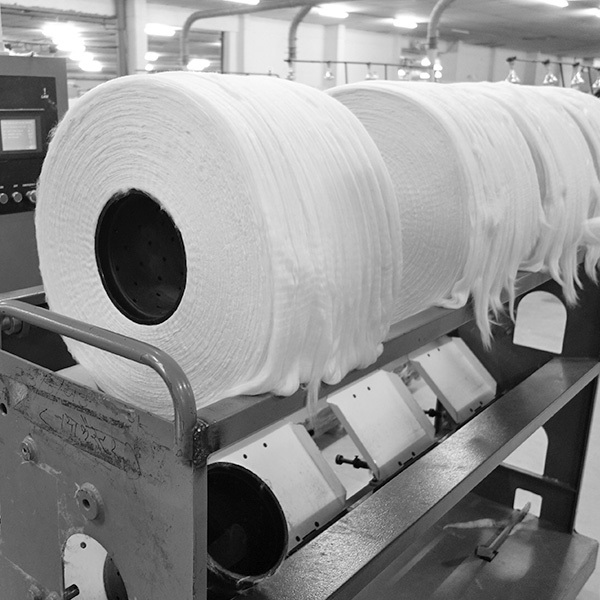 The cotton then gets spun into twine of different weights and sizes for various uses. 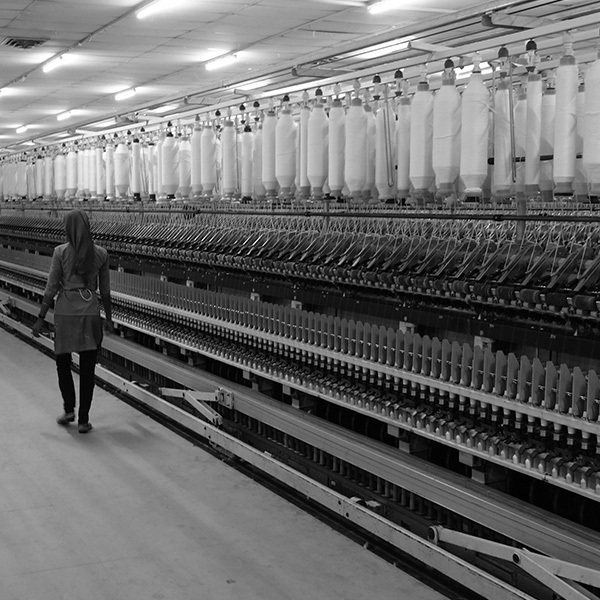 The yarn gets knitted or woven into fabric lengths by a futuristic looking machine. 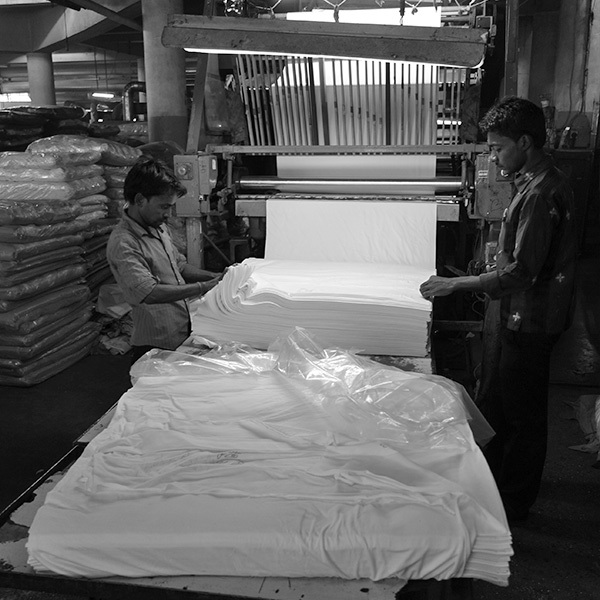 Each batch of fabric is quality checked before being moved on to production. It then gets dyed and rechecked for colour consistency and stacked ready for cutting. 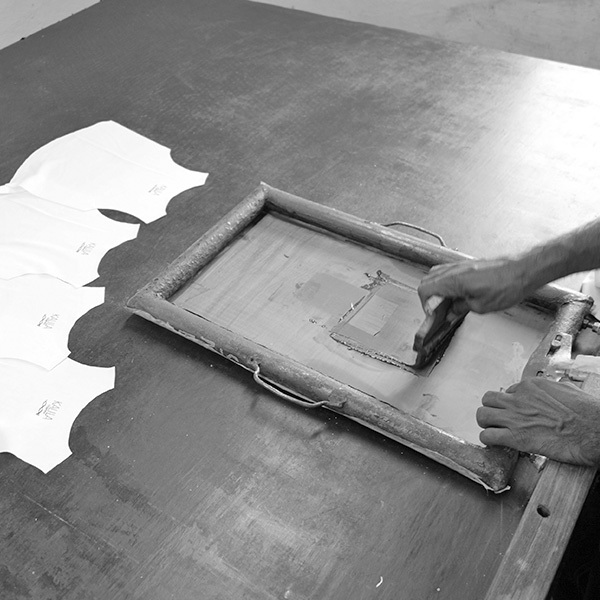 Next the cut pieces are sent for screen print. 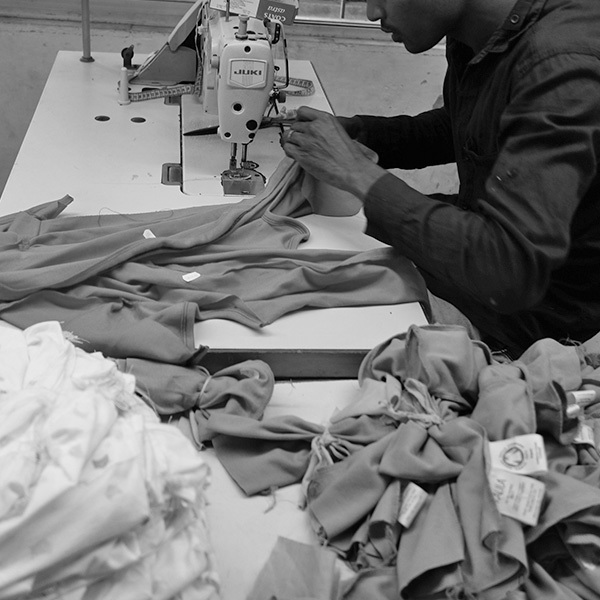 While others are sewn together into our Kalila garments. 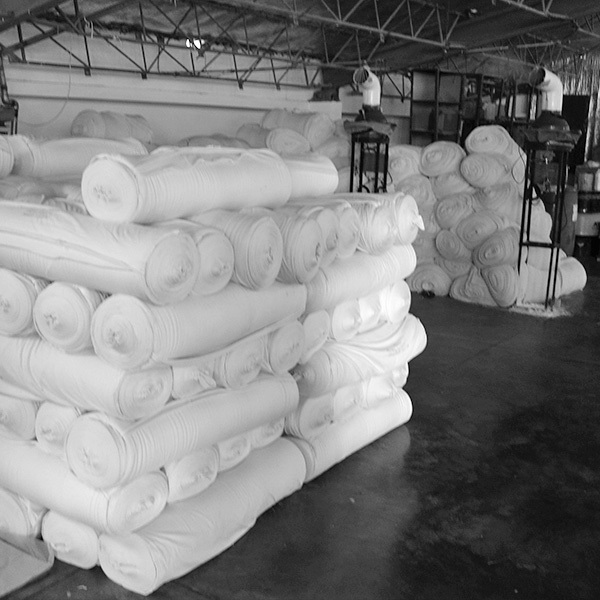 After sewing and finishing each garment is checked and packed ready for shipment. 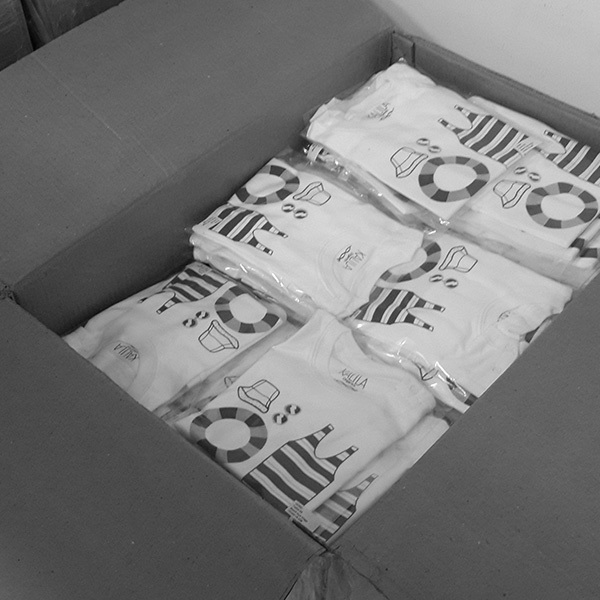 The boxes are finally received at our warehouse!